अभिनेत्रियों I think Tom should work with some day: Who would be the best? Out of these चोटी, शीर्ष 10 Tom Hardy performances which one is your favorite? My प्रिय Tom Hardy roles. Pick your favorite. प्रशंसकों के पसंद: आप musn't be afraid to dream a little bigger darling. Should Tom Hardy be the अगला James Bond? प्रशंसकों के पसंद: Yes, Tom Hardy would make an awesome James Bond! Does anyone know what all of his टैटू are off या what they say? Does anyone know where आप can send प्रशंसक mail to tom? An if he has an official site? Of the roles TH has played, my प्रिय is the one in "the drop". He is intelligent, understated, fiercely protective, and his प्यार for the कुत्ते का बच्चा, पिल्ला was extraordinary. 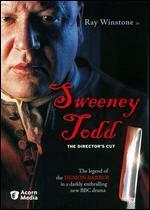 Tom played a small part in the TV drama 'Sweeney Todd' what was the name of the character he played? Tom Hardy is the sexiest man alive या dead? Yes या no?